Nithya Menen signs Vijay 61; why did Jyothika walk out of Ilayathalapathy's film? Jyothika has been replaced by Nithya Menen in Vijay 61, directed by Atlee Kumar and produced by Sri Thenandal Films. 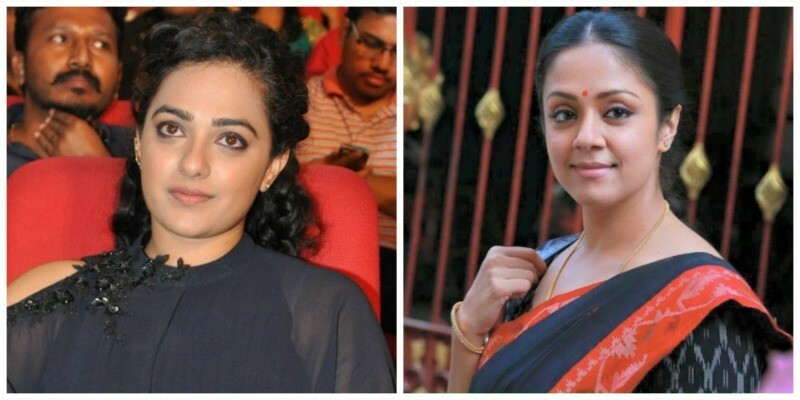 Nithya Menen has been brought onboard after Jyothika walked out of Vijay's forthcoming movie to be directed by Atlee Kumar. She will now be one of the three female leads in the film, which also has Samantha and Kajal Aggarwal. In a surprising development, Jyothika opted out of the movie, which is presently referred to as Vijay 61. The actress had reportedly taken the advance amount and signed the dotted lines to pair up with Ilayathalapathy. In fact, she even had a photoshoot for the Tamil flick. However, Jyothika decided to walkout before the commencement of the shoot. The reason behind her decision remains a mystery. Coming back to Nithya Menen, this will be her first movie with Vijay. The actress, who has gained popularity in all four South Indian languages, is considered as a good replacement as the actress is known for her strong performances. The movie has Vadivelu, Sathyaraj, Sathyan, SJ Surya and many others in the supporting cast. KV Vijayendra Prasad, the writer of movies like Baahubali series and Hindi film Bajrangi Bhaijaan, has contributed the script for the film. Leading production house Sri Thenandal Films is bankrolling the movie, which is said to be its landmark 100th film. Two-time Oscar Award winner AR Rahman has been signed to compose music, while GK Vishnu and Ruben are onboard to handle cinematography and editing departments. Meanwhile, the first schedule of Vijay 61 is underway in Chennai. The movie hit the floors on 1 February with a simple event.